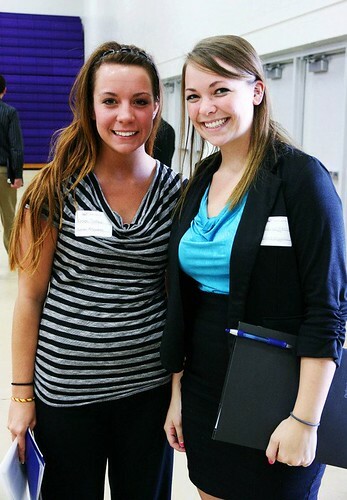 So you made it through the Hawk Career Fair – phew! Take a deep breath; the hardest part is over with. The only thing left to do is follow up with employers. It seems like many students forget or disregard this step, which can hurt them in the long run. I’ve developed five post-career fair tips that can help you stand above the rest. You don’t have to complete all of these steps. Only do what you feel is comfortable and appropriate. Do you ever notice how nice it is when someone thanks you for your time or service? 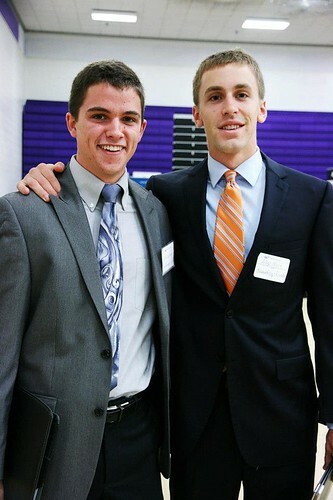 Pay it forward, and thank the employers you talked to at the career fair for their time. 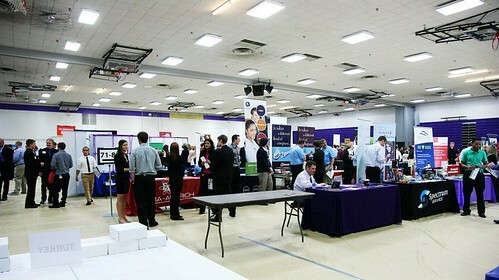 Over 100 employers took time out of their day to attend this fair. 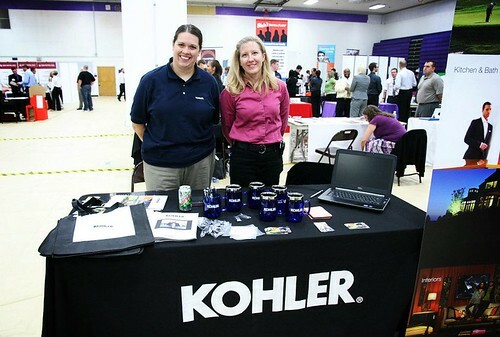 Many employers do this annually, and even more travel to other college campuses to present at more career fairs. If you send them a quick e-mail, chances are, they will remember you. They might even jot down your name or e-mail address to remember it when you interview for them! E-mailing an employer is an easy way to get recognized and to be remembered. Ideally, you should send this e-mail 24 after the interview or career fair, but, better late than never! Did you have a great conversation with one of the employers? Did you network with another student or staff member? Connect with them on LinkedIn! LinkedIn is a powerful tool to use when searching for a job, and the more connections you have, the better (that is, if you personally know all of your connections!). If you don’t know that using Twitter to help you get a job, then I don’t know what rock you’ve been living under. Twitter might be the next best thing, under LinkedIn, of course, to help with your career path. If you’re active on Twitter, tweet about your experience at the Hawk Career Fair. Tweet to the companies you’re interested in, tweet at the employers you talked to, tweet about the positive things you experienced at the career fair, and tweet about where you see yourself in a few years! (Just don’t overdo it!) Employers will see the positive energy you elude about their company, and they will love it. 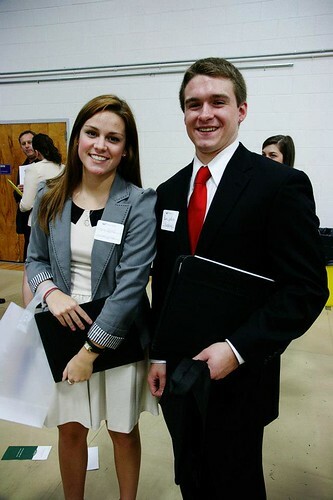 Some employers at the Hawk Career Fair will invite you to be interviewed with them when you talk to them. Some won’t, and that is okay. Every company has a different way of hiring and conducting interviews. 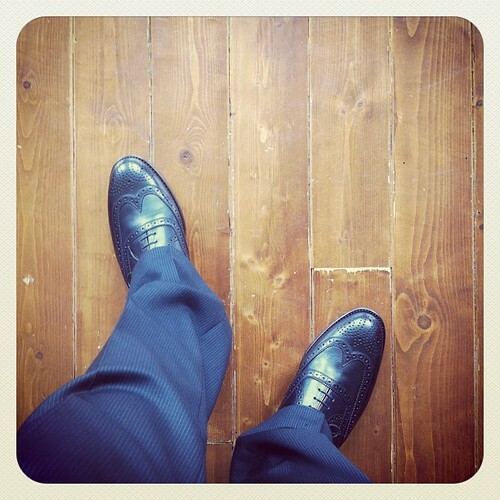 If you do get an interview, make sure you prepare for it! 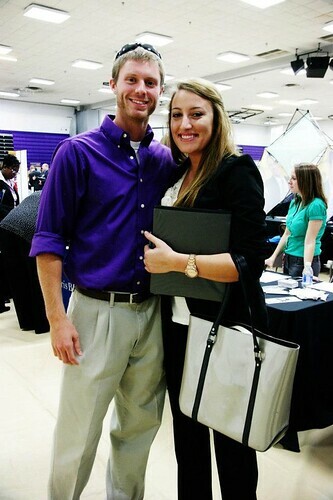 Their first impression of you at the career fair was great, now make sure you shine in your interview! 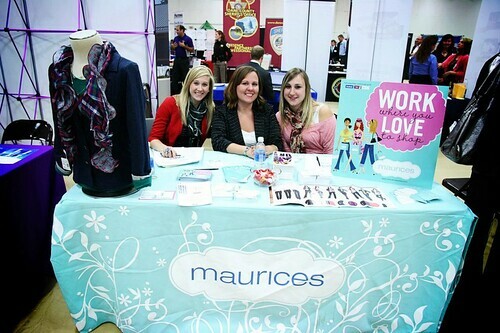 Were there more goodies at this year’s career fair than ever?! I’ve never seen so many pens, stress balls, hand sanitizers, stuffed animals, and food! I hope you snagged just as many business cards as you did free pens, because for this step, you need to sort out all the business cards and write a pro-con list of which companies you liked and which ones you didn’t. Then, evaluate the pros and cons. Why did you like a certain company? (It better not be because their pens write better than another company’s pens!) What is important to you in a career? This will help you better evaluate where you see yourself working after graduation. 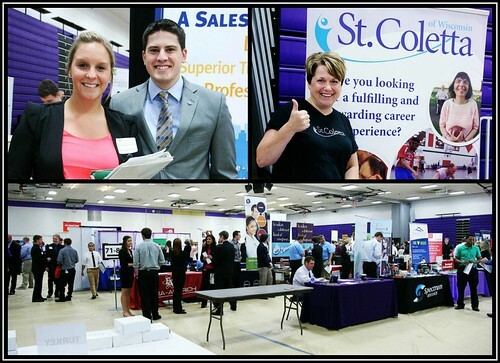 September is a big month for UW-Whitewater students seeking internships and post-grad jobs. 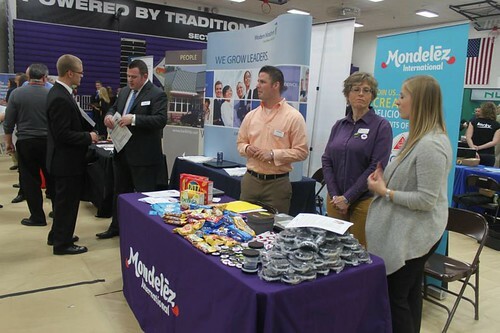 We should just call it “Career Fair Month,” since two of UW-Whitewater’s on-campus career fairs – Accounting Career Fair and Hawk Career Fair – take place in September. 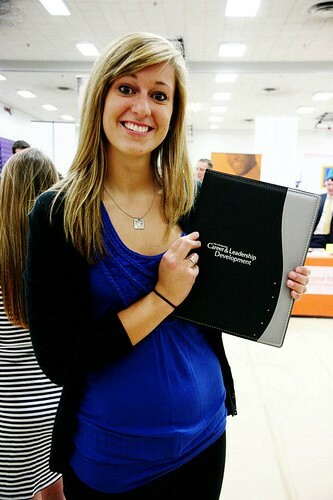 Preparation is crucial to have a successful career fair experience. Our ultimate career fair checklist will guide you through the next few weeks and help you make your time at the career fair productive. Join our Facebook event page for the Hawk Career Fair. Registration is not required, but we will be sharing helpful career fair tips and event updates on the page. Keep yourself in the loop. Understand and develop your goal for attending the career fair. Are you looking for an internship or job? Are you looking to explore different career options and companies? Are you hoping to network with employers you would like to work for in the future? Your goal will impact how you work the event. 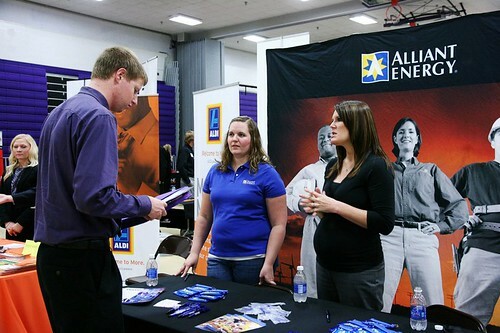 Find out which employers are attending the fair. Visit the “Career Events & Workshops” tab in Hawk Jobs to view the list of employers coming to the Hawk Career Fair. Create a prioritized list of employers you are interested in talking to. 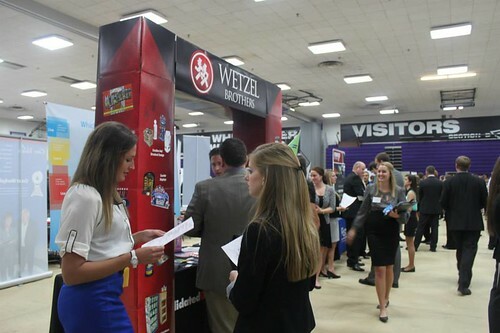 With 100+ employers at the Hawk Career Fair, there is no way you can meet with everyone. Research the employers on your targeted list. Know their primary products/functions. Understand the industry. Be able to state why you want to work for them. Develop specific, informed questions for your target employers. Base your questions on your research. Prepare your 30-second introduction. Practice telling your career story in 30 seconds or less. Convey your knowledge of the company and express your interest in them. Identify what makes you a strong candidate. Practice your handshake. A firm, confident, and appropriate handshake makes a great first impression. Update or put together your resume. Work with one of our career counselors/advisors one-on-one or stop by one of our Resume Doctor events. Once your resume is employer-ready, make plenty of copies (enough for the employers on your target list plus at least 10 extra copies). Put together your career fair “look.” Professional dress is recommended, but business casual is the minimum requirement. For ideas, check out our Pinterest boards on “What to Wear.” Purchase a professional portfolio/padfolio to keep your resumes and notes organized. And make sure you choose comfortable shoes! Using the notepad in your portfolio/padfolio, write down notes and questions. Make a list of key points from your employer research along with the questions you intend to ask. And make sure you have a pen to jot down additional notes at the fair. Plan to arrive at the career fair early. When you check in, you will receive a printed list of employers and their location in the gym. Take a moment to map out your game plan for visiting employers before stepping foot into the gym. Silence your phone. IF you bring your cell phone with you to the fair, quadruple check that you have either silenced it or turned it off before entering the gym. You don’t want your phone to ring mid-conversation, and you don’t need to fuss with your phone at all during the event. Give the employers your full attention. Work the fair alone. Employers really don’t like students who travel around the fair in a pack. You might come to the fair with friends, but network on your own. Review your notes and questions before approaching an employer. You only have a short time with each employer, so be ready to go. As part of your strategy, consider starting with employers who are lower on priority list. Use these conversations to warm up before approaching your top choice employers. Approach each employer with confidence. Extend your hand to shake the recruiter’s hand, make eye contact, and introduce yourself. Close conversations by discussing next steps. Ask about the hiring process and how to apply for opportunities*. If you aren’t looking for a job, ask about how you can learn more about the organization and/or set up an informational interview. Ask for a business card and the recruiter’s preferred method of follow-up. Don’t forget to thank them for their time. Take breaks. Write down notes from your conversations, jot down follow-up actions, and collect your thoughts for your next conversation. Write thank you notes to the employers you spoke with. Send your notes within 48 hours of the event. It is completely acceptable to email a thank you. Complete any special follow-up actions. This includes applying online for positions you are interested in, signing up for interviews, or attending any employer-hosted events (ex. information sessions). Reflect on your career fair experience. What went well? What could you improve upon for the next event? Keep in touch. Career fairs are really just large-scale networking events. Reach out when you have a question or to follow up on a position you’ve applied for. Consider connecting with the recruiter on LinkedIn (but make sure to build a great student LinkedIn profile first). Create a professional contact spreadsheet or database, and add the contact information you gathered at the fair. So there you have it! The ultimate career fair checklist. Even though it’s a little long, don’t be afraid. Start working your way through the list now, and you will be a career fair star by show time! * Don’t be discouraged when employers direct you to apply online. Very rarely are you applying for a job AT the career fair. 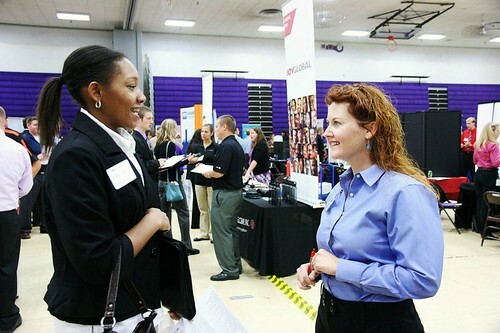 The career fair is where you meet recruiters face-to-face and make a good impression. Some employers take note of whether or not an applicant visited them at the fair.